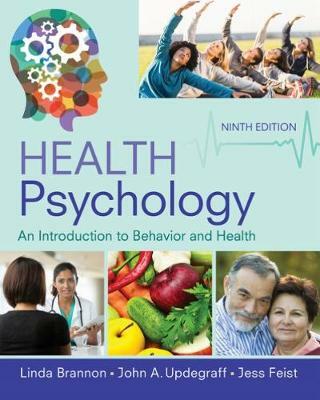 For over 20 years, HEALTH PSYCHOLOGY: AN INTRODUCTION TO BEHAVIOR AND HEALTH has remained a leader in the field for its scholarship, strong and current research base, and balanced coverage of the cognitive, behavioral, and biological approaches to health psychology. Accessible and appealing to a wide-range of students -- including non-majors -- this classic text features a concise writing style, ample pedagogy, and numerous visuals to support your learning and understanding. This edition is updated to reflect the latest developments in the field, and includes many new real-world examples selected for their interest and relevance.